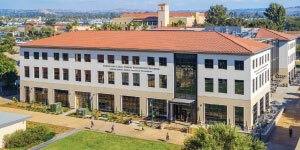 Located 60 miles east of Los Angeles, California Baptist University is one of the fastest-growing private Christian universities in the region. CBU’s 160-acre suburban Riverside campus is located between Southern California beaches and mountain resorts—an ideal place for students to discover and live their God-given purpose. CBU offers the expansive range of academic programs and student support services you would expect from a large university while preserving the vibrant social and spiritual life that makes small schools so appealing. CBU students can enjoy mouthwatering menus at the University’s three on-campus restaurants, a cool swim in the enormous pool in the Lancer Aquatic Center, solitude in the historic Annie Gabriel Library, school pride at athletic events, and spiritual renewal at weekly chapel meetings. The CBU School of Nursing is one of the best private Christian Nursing schools in California, with an NCLEX pass rate that has averaged 90% over the last three years. The College offers bachelor’s, master’s, and doctorate degrees in Nursing. The School of Nursing has been approved by the California Board of Registered Nursing (BRN) and accredited by the Commission on Collegiate Nursing Education (CCNE). CBU’s expert faculty bring years of academic and professional experience to the classroom. In the College’s state-of-the-art labs, students can practice necessary nursing skills before ever entering a hospital. 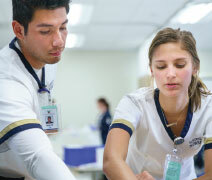 Students then continue their education in the community, completing various clinical experiences and upholding the College’s reputation for nursing excellence. Health Science professionals work with physicians and other members of the health care team to deliver patient care services for identifying, preventing, and treating disease and disabilities. Health science professionals include athletic trainers, exercise physiologists, health educators, health information managers, health care administrators, laboratory technicians, nutritionists, physical therapists, radiologic technicians, and speech pathologists. 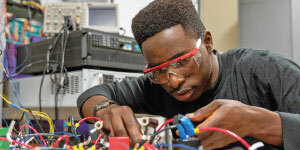 The CBU College of Health Science comprises the Departments of Allied Health Professionals, Kinesiology, Physician Assistant Studies, and Public Health Sciences. The College offers bachelor’s degrees in Communication Disorders, Health Care Administration, and Public Health, among others. For more information, visit calbaptist.edu/nursing.